The Alvin Soccer Pencil Sharpener Display, measuring 4.5 inches in width and 7.75 inches in height, comes with 32 pieces of double-hole sharpeners. With its nice design and plastic material, it is perfect for kids and kids at heart. 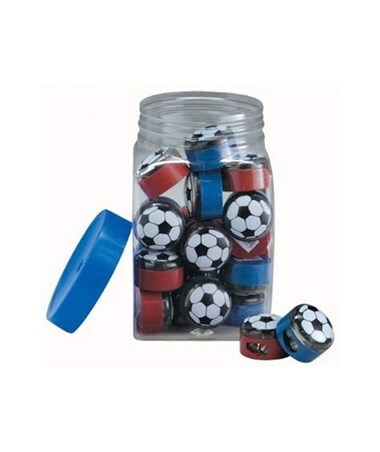 Each pencil sharpener is made of plastic and meticulously designed to achieve its soccer ball look. With its two holes, it provides versatility and can be used to sharpen pencil in various sizes. 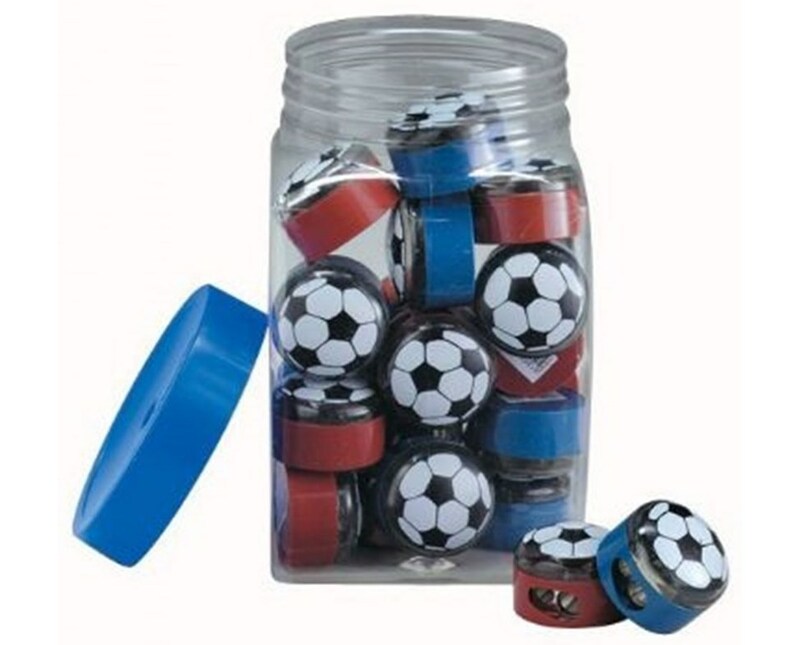 These soccer pencil sharpeners also come in different colors. With these small and easy to use sharpeners, the Alvin Soccer Pencil Sharpener Display with 32 Sharpeners is ideal for school, office and home.